Volkswagen Transmission Repair, Rebuild or Replacement - You have found the Seattle area's best transmission engineering team. 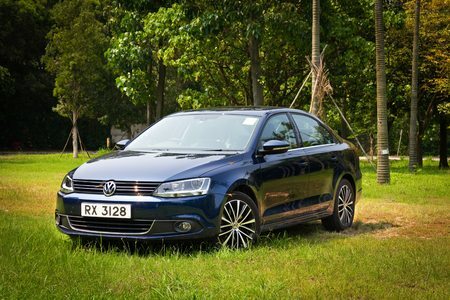 As their owners will be well aware, certain models of the Volkswagen Jetta 2.5 have been known to have transmission problems. The transmission on these vehicles, the 09G automatic, often has problems with rough shifting into certain gears, making driving an uncomfortable—and often frightening—experience. This problem is common with the 09G transmission, which is actually the same model as the Aisin-Warner TF60SN transmission used in Mini Coopers and the Audi A3. To make matter worse, the problem will often occur outside of warranty, even if it’s still fairly soon – the problems will often occur before 50,000 miles. We re-engineer your Volkswagen Jetta’s transmission so that it will function the way it should, better than the way it was originally designed. Some mechanics might tell you that the transmission is defective and should be replaced. They will likely try to restore the transmission to its original OEM state. However, that’s exactly the problem with the 09G transmission—restoring it to OEM won’t fix a thing. The issue isn’t wear, tear, or damage to the unit in and of itself. While there will often be some wear, that is just a symptom of a much deeper problem. The 09G transmission used in these Volkswagen Jetta models are inherently flawed. In particular, the valve body often has issues that lead to abnormal leakage and wear. The solenoids may also be sticking. This leads to the problems you experience when shifting gears. In other cases, problems with this transmission are electrical in nature. The 09G (and the TF60SN) are designed with an adaptive shifting system. This means the transmission adjusts the way it shifts based on how you drive. Naturally, this can lead to a variety of problems, especially after you make repairs to the transmission. If you have serviced the transmission in your VW Jetta, the transmission may need to be reset to solve any shifting problems you have. Even then, it might not be a complete fix due to valve body issues. For this reason, getting a replacement OEM valve body or transmission from the dealer or some other source is not recommended since it won’t actually fix anything. Also, certain replacement models may also be problematic since they won’t necessarily get to the root of the problem. To truly solve the problem with this transmission, you need to get it re-engineered, to put it simply. This involves upgrading certain parts of the valve body and bores to make sure it handles its fluids properly. That way, you prevent the leakage and wear caused by the transmission’s defects. To get the transmission in your Jetta properly fixed, you need to know how the transmission is put together and exactly what is going wrong. The dealer won’t do this for you. They’ll simply replace the transmission or valve body with an OEM model, knowing full well that the problem will likely continue. The Jetta is a nice looking car, but if you need Volkswagen transmission repair you NEED a company who can improve the OEM issues so they don’t occur again. Contact us now to get the right Volkswagen transmission repair, rebuild or replacement today!